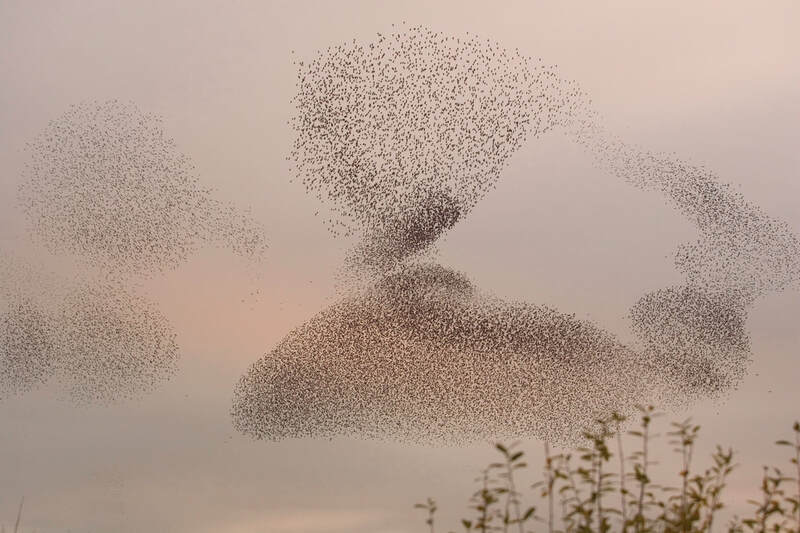 One of the wildlife highlights of winter is the spectacle of starling murmurations. These familiar garden birds amass at dusk before spending the night in reedbeds, or on structures like bridges and piers. ​Gathering in large numbers has three main benefits: many eyes to watch for predators, and warmth on a chilly evening, for example. Also, if you’re a younger bird or new to the area (many will have come from eastern Europe) you can follow more experienced starlings to find the best places to eat in the morning. Just before settling down they whirl in the skies above forming dramatic shapes, a mesmerising display which helps them dodge avian hunters like peregrines and sparrowhawks.